If you’re like most people, you click off images in digital format without giving much thought to what is going to happen to them after the fact. You end up with thousands of photographs living on your hard drive that you rarely, if ever, look at. And you effectively ensure that you do not Exist in Print. 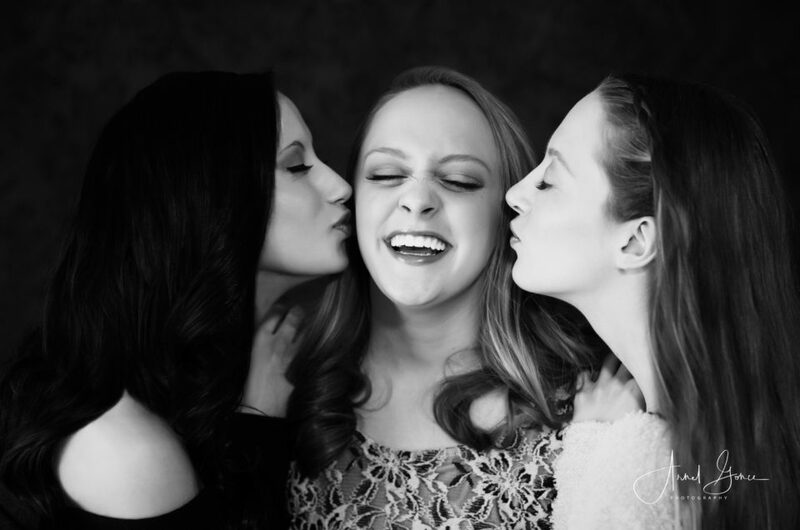 For me, printed photographs represent roughly half of my life. For my kids, they only represent maybe a tenth of their life, as digital image format takes over. Years ago when my father passed away, I inherited all the family photographs from my childhood, in the form of 8mm tapes, slides, and prints. He did not throw anything away, so I have been scanning the images and converting the tapes slowly over time. I had forgotten about many of them, but was so excited to have a chance to see them again, to hold them in my hands, and give me an opportunity to walk down the halls of my childhood. Take these two photos for example. 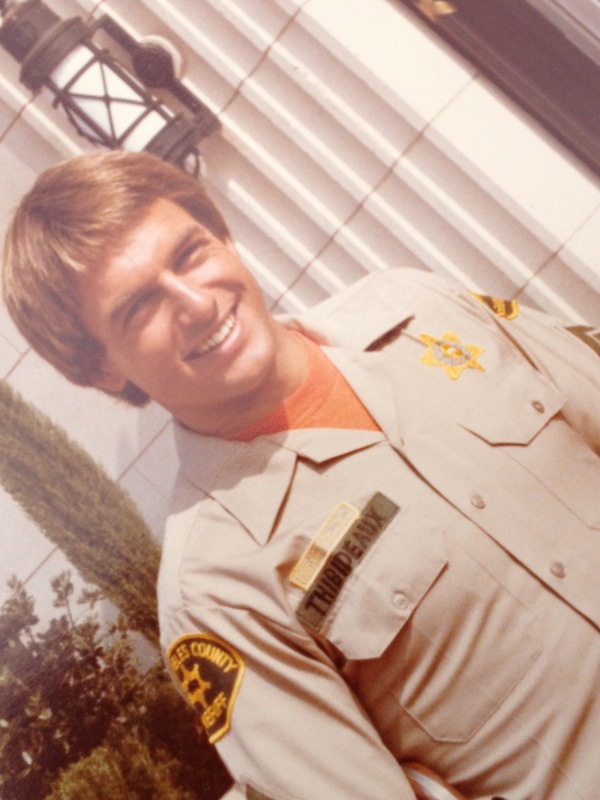 My dad, who was a Sheriff, went with a friend who worked as an armorer on tv and movie sets. I had forgotten that he snapped these the day he was down in L.A. with his friend. Do you recognize this actor? (Pardon the slant, I snapped this picture with my iPhone when I was clearing out all his things). This is Mark Harmon, on the set of 240-Robert! Remember that show? I remember my dad coming home and being so excited to tell us about his experience of actually getting to watch the filming! What about this guy? How many of you remember him as Ponch? 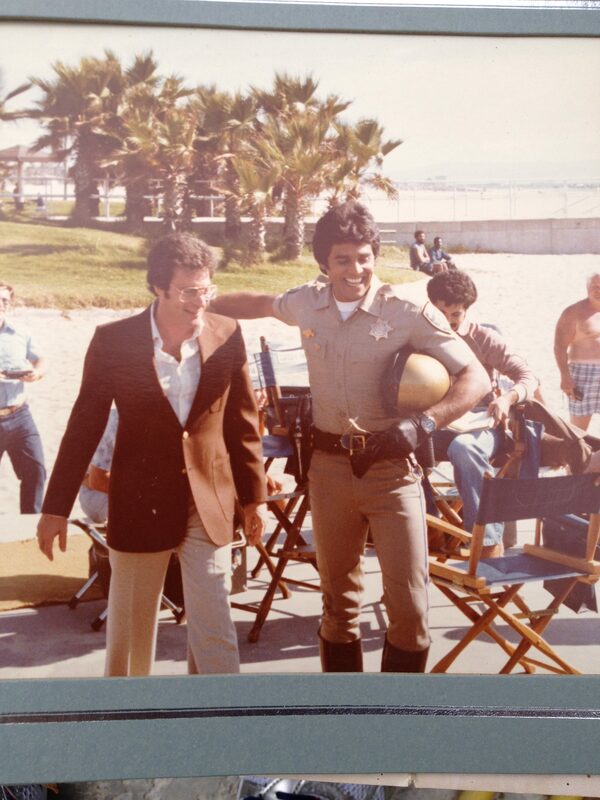 This is Erik Estrada on the set of CHiPs. They aren’t great images. But they tell the story of the day, and my memories that are tied to them. Memories of my dad relating his excitement over getting to be there while they filmed. Something I can hold in my hand, and recall the first time I held them. Remembering the look on my dad’s face when recounting his story of the day. An experience that would not be the same by viewing the image on a computer screen, if, it had in fact even survived as a digital image for 45 years. 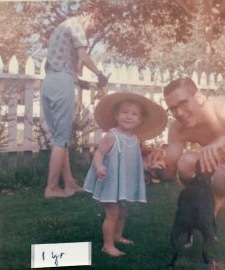 This is me at 1 year of age, with my dad, the family dog, and my grandmother in the background at our home in California, complete with white picket fence. For me, having prints on paper isn’t optional. It’s mandatory. Hard Drives fail, computers crash, data is lost. It’s great to be able to carry this image with me on my phone. But without the paper record, I probably wouldn’t have it at all. What image would you go to any length to save from peril?